Programmatic buying is becoming not only the mainstream but also the only hope in next generation of marketing. The online display advertising industry has been completely revolutionized in recent years due to the introduction and rise of programmatic media buying. As long as enough and right data is applied to the algorithm, programmatic buying makes the transaction easier and more effective, significantly improving marketing campaign. According to statistics from eMarketer, it is reported that programmatic buying already accounted for nearly 60% of all US digital display advertising in 2015. The report further indicates that the percentage could rise to 72% in 2017. Unsurprisingly, with increasing budget allocation into programmatic buying, it continues to represent the future of digital advertising. Here, we list 8 main advantages of adopting programmatic buying, making it easier for readers to better understand how powerful it. Thanks to the data-driven technology in programmatic buying, precisely targeting customer is no longer a daydream. 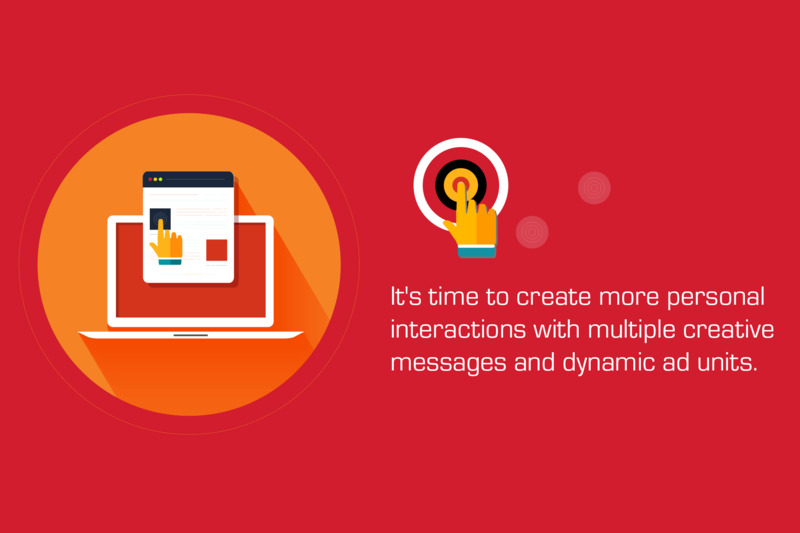 The centralized process in a single platform significantly reduces hassle in watching Ads campaigns in different channels. Moreover, programmatic advertising is capable of rapidly carrying out efficient exposure and a great amount of conversion, making good use of every dollar you spends. The advertiser is not the only one gaining the benefit. Consumers get the benefit as well. Since the algorithms applied in programmatic buying keep optimizing and updating itself as the database becomes stronger and more complete, there is a greater relevance in the content the algorithms produce for consumers. In other words, programmatic can satisfy customer’s subconscious needs without creating any annoyingness and disrupting user experiences. Apart from targeting existing users, the scope of programmatic buying is way beyond that by adopting a technique called “Look-like”. It allows advertisers to tap more extensive audience who shares not essentially the same, but similar interests with the existing target audience, exploiting those once unreachable and untapped customer segments. Lastly, discover another niche customers. The ecosystem of programmatic buying is open to any advertiser and publishers regardless of company's’ size or marketing budget. Everyone is welcome and free to participate in selling and buying media placements in this marketplace. Undoubtedly, this is a good news for smaller advertisers, agencies and publishers. The advertising display on cross-devices is becoming highly connected. Programmatic buying selectively delivers the best suitable Ads to users not only based on demographics, but also psychographics, precisely predicting users’ behavior and the devices they are holding or using in different time. More importantly, the cross-devices display makes digital marketing campaign more consistent and appealing to internet users. As compared to traditional display approach, standard banners, for instance, programmatic advertising nowadays is able to deliver more versatile and interactive banners. The multiple functionalities are the feature that make it outstanding. Take Dynamic Product Advertising, for example. The algorithm programmatically chooses a series of product user might be interested based on their website footprint and purchase history and, then, automatically produce a well-designed product list banner. Without a doubt, this highly stimulates purchase desire and makes a banner not just a banner. Even though programmatic buying is sometimes notorious for malicious fraud and unreliable transparency, there actually exists an advanced technology assisting with this ongoing problem and creating more viewable space for Ads. It also significantly helps catch the attention of internet user and get the access to acquiring the top 10% of placement viewed for the longest time. The last but not the least, programmatic buying will see a huge potential to grow in the near future. There is no sign of slowing down. With more and more resource invested into this field, there is no doubt that a next-generation technology applied to programmatic marketing is coming soon. There would be much more chances for both advertiser and publisher to carry programmatic buying. The future in this area is just beyond imagination and is limitless.